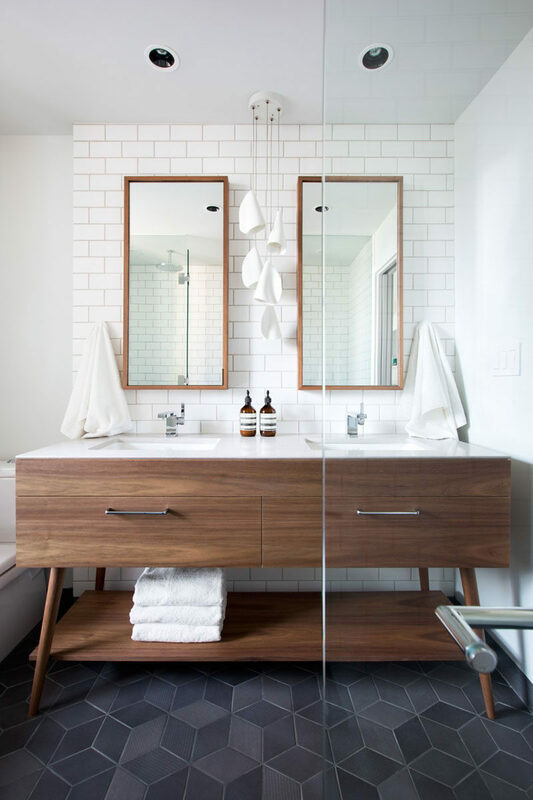 Double vanities are a great way to make sure that each person using the bathroom gets enough space and has a spot to keep all their stuff. One of the challenges when it comes to double vanities is deciding how you’re going to put up mirror. Are you going to use a single one? Multiple ones? A massive one? 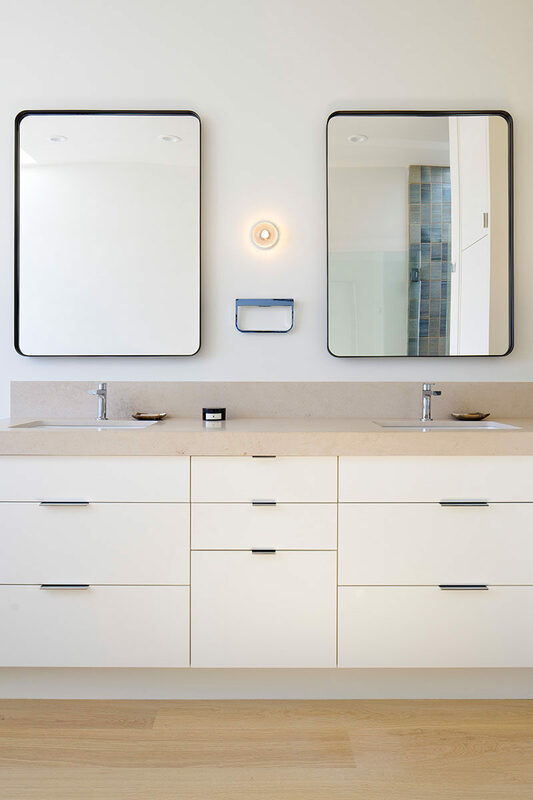 To help with your decision we’ve created a list of 5 different ways you can include mirrors above your double vanity. 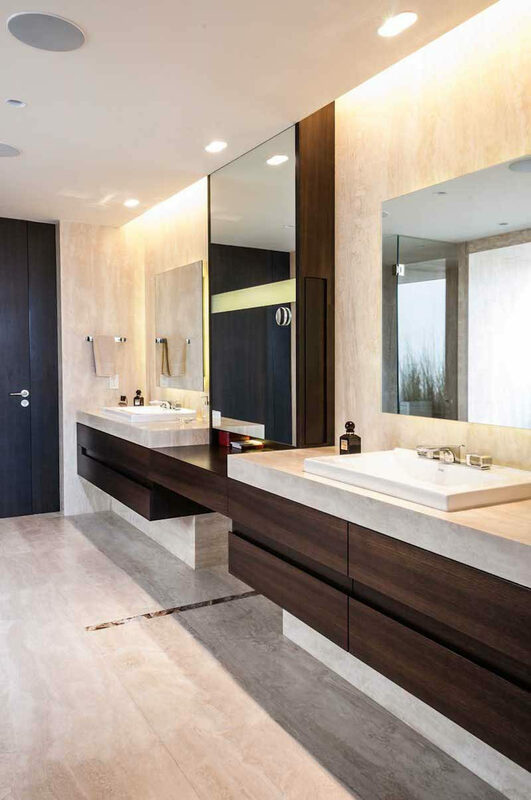 Using two rectangular mirrors is the most common solution to the double vanity mirror issue. With two rectangular mirrors, each person is responsible for their own mirror and there’s never a competition for who gets to monopolize the mirror first. 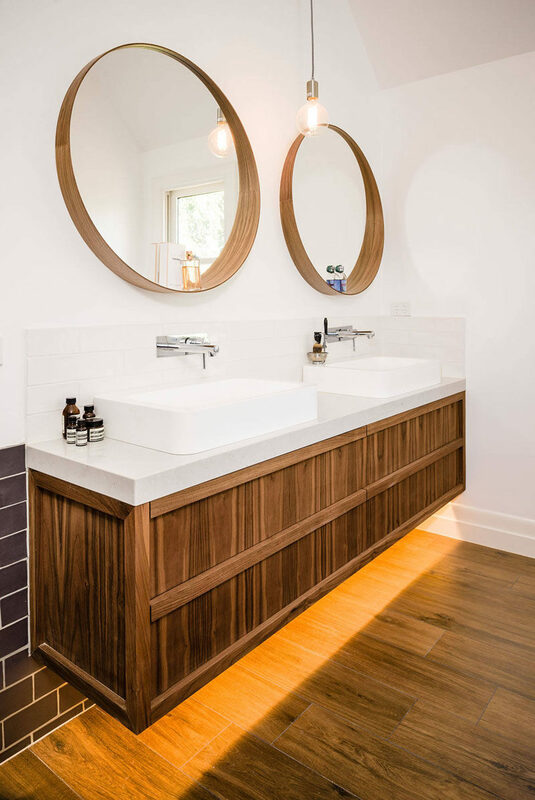 You can use a small rectangular mirror that also doubles as personal medicine cabinets or you can go for long skinny ones that give you a bit of extra reflection. Designed by Architects EAT. Photography by James Coombe. Interior design by by Falken Reynolds. Photography by Ema Peter Photography. See more photos of this house, here. 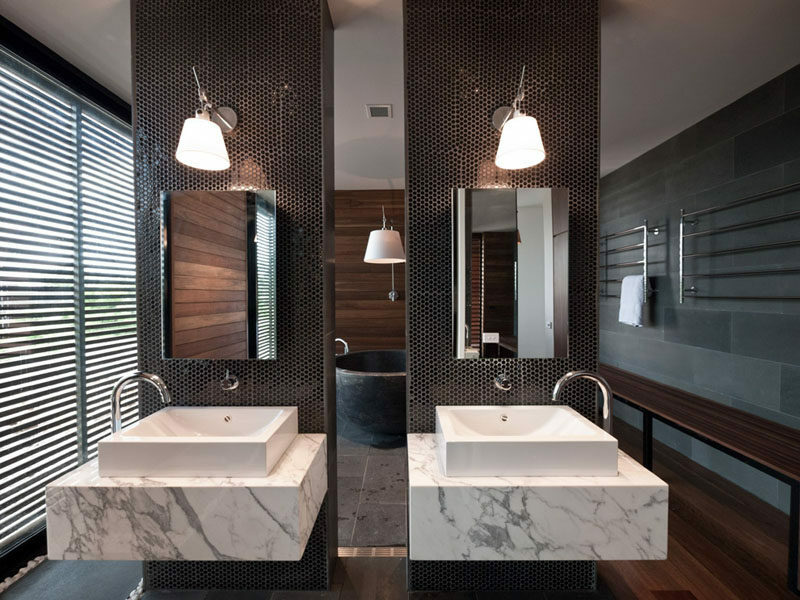 Designed by YAMAMAR Design Architects. Photography by Bruce Damonte. See more photos of this house, here. 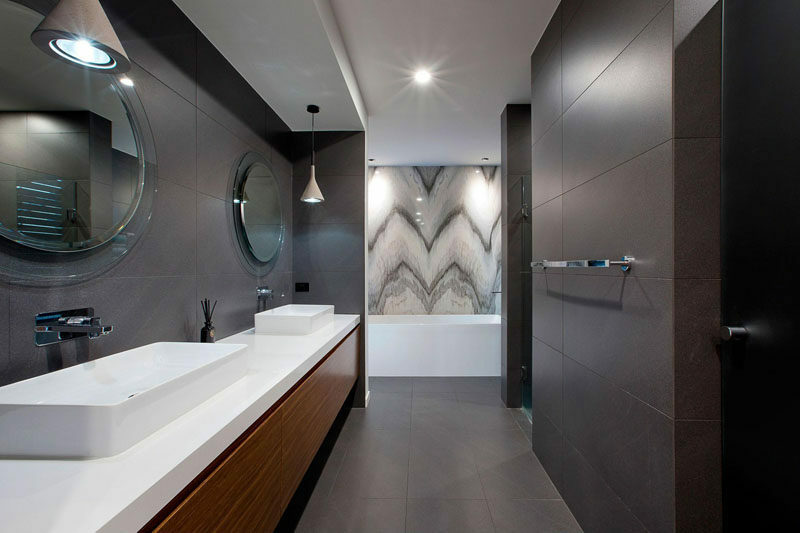 Designed by Victoria Design Group. Built by M.Knight Construction. Photography by Vince Klassen. See more photos of this house, here. 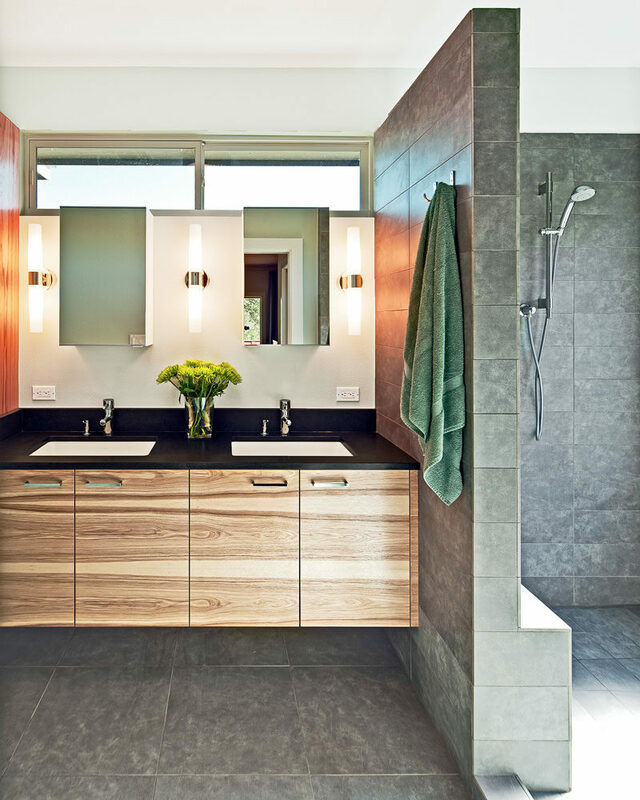 Designed by Jennifer Ott Design. Photography by Patrick Wong | Atelier Wong. See more photos of this apartment, here. Designed by 2B.group. Photography by Andrey Bezuglov, Slava Balbek. See more photos of this house, here. Designed by LSA Architects. Photography by John Wheatly | UA Creative. 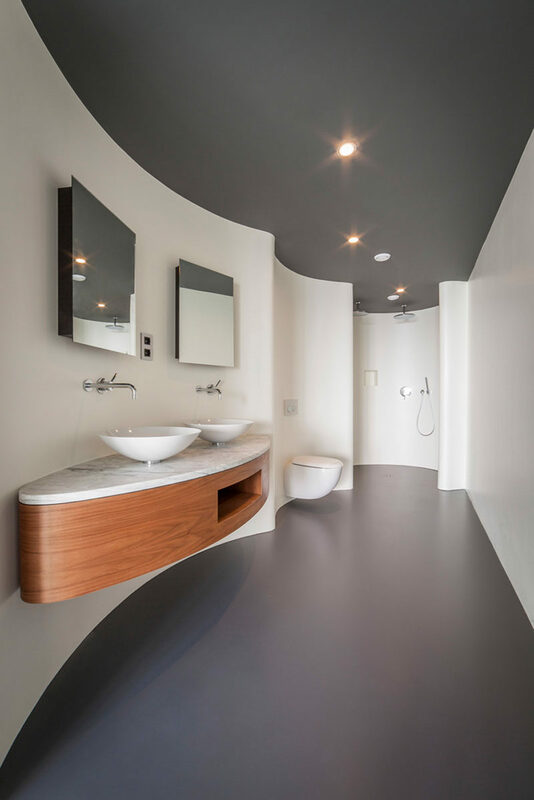 Designed by Frits de Vries Architect. Photography by Lucas Finlay. 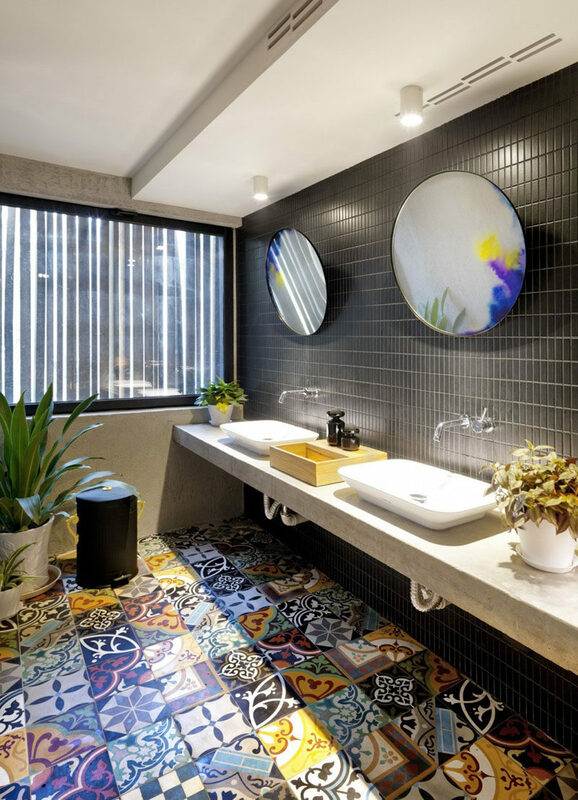 Much like rectangular mirrors, square mirrors above each sink give each person their own personal space and makes them responsible for cleaning it. 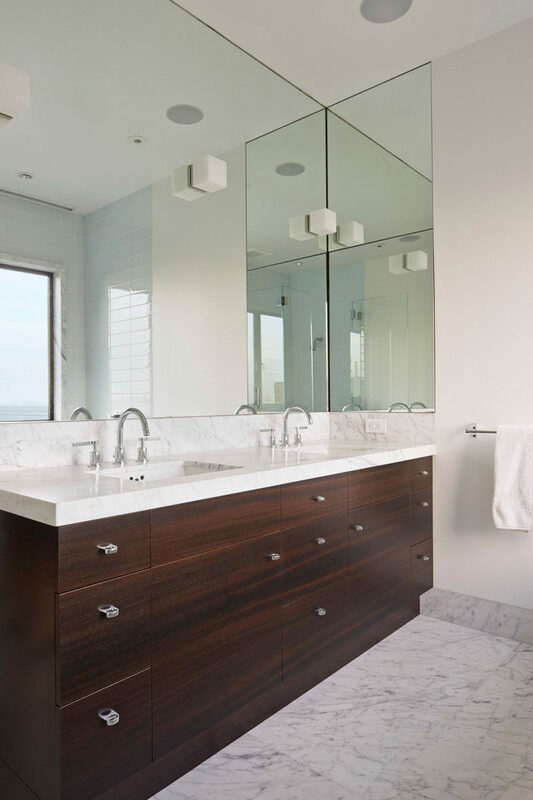 When deciding between rectangular and square shaped mirrors it really just comes down to personal preference. Designed by 123DV. Photography by Hannah Anthonysz. See more photos of this house, here. Designed by Gantous Arquitectos. Photography by Michael Calderwood. 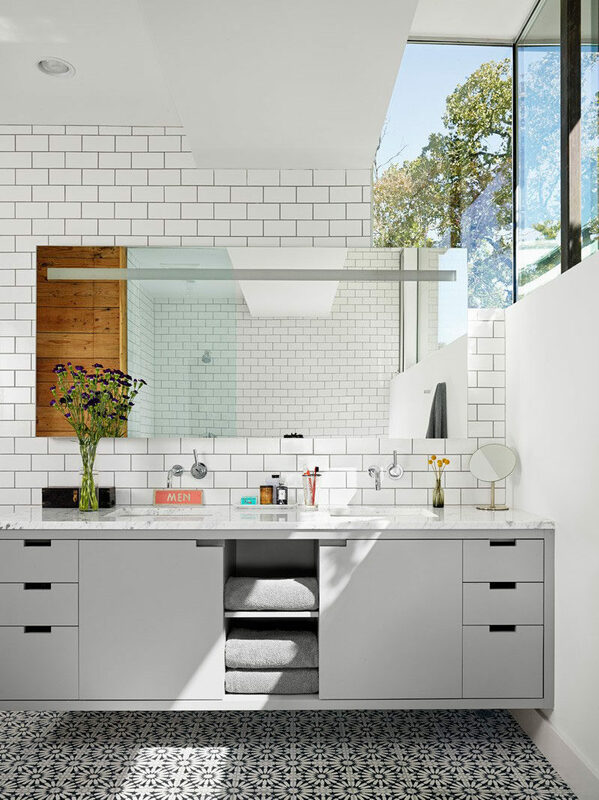 If you’re more into sharing mirror space and having a more unified look in your bathroom, a single large mirror above both sinks may be right for you. 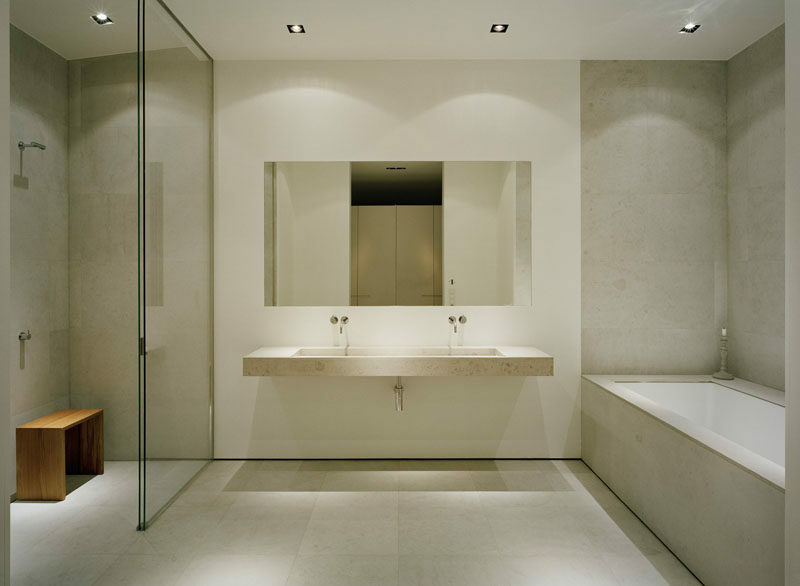 Large mirrors have the benefit of tying together your bathroom and creating a single focus in the room. 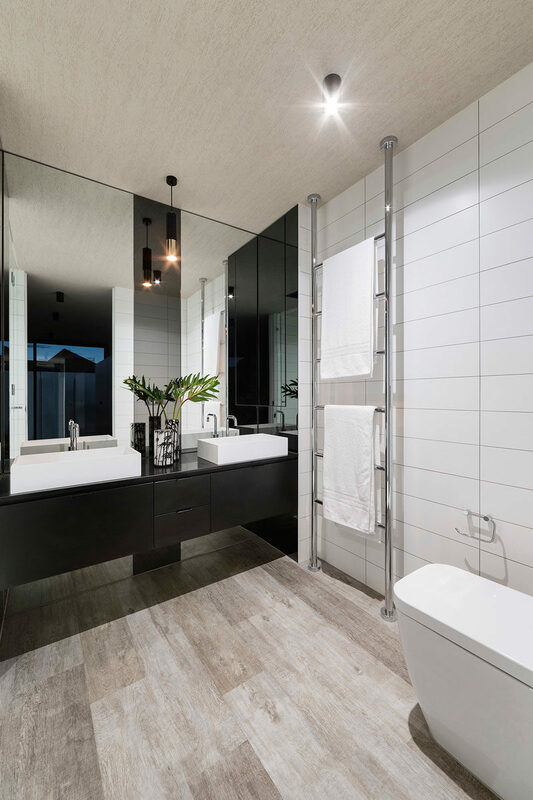 Depending on how much wall space you want your single mirror to take up, you can either hang a large one or fill an entire wall with a massive one that reaches all the way up to the ceiling. Designed by John Robert Nilsson. Photography by Åke E:son Lindman. See more photos of this house, here. Designed by Hugh Jefferson Randolph. Photography by Casey Dunn. See more photos of this house, here. 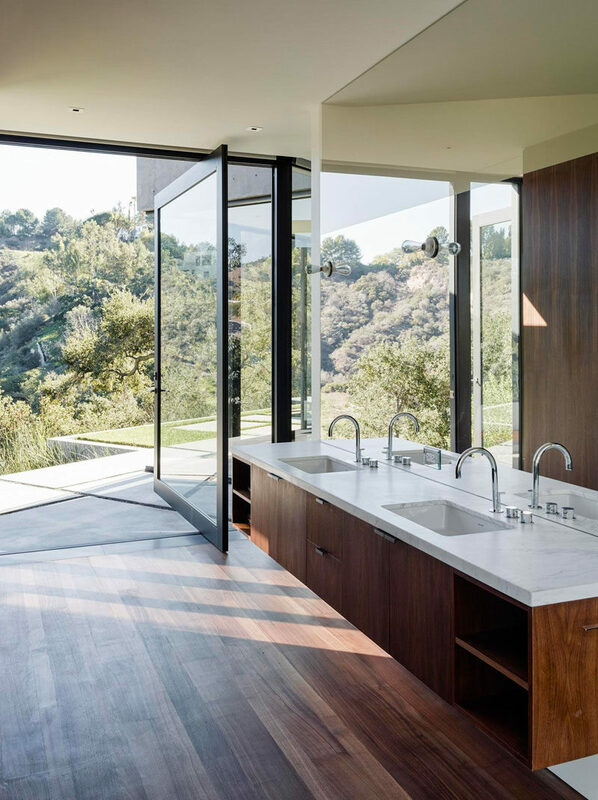 Designed by Morrison Seifert Murphy. See more photos of this house, here. Designed by Kevin Vallely. Photography by Dave Sutherland. See more photos of this house, here. Designed by Studio VARA. Photography by Bruce Damonte. See more photos of this house, here. Designed by Walker Workshop. Photography by Joe Fletcher. See more photos of this apartment, here. Designed by Baraban Design Studio. Photography by Andrew Avdeenko. 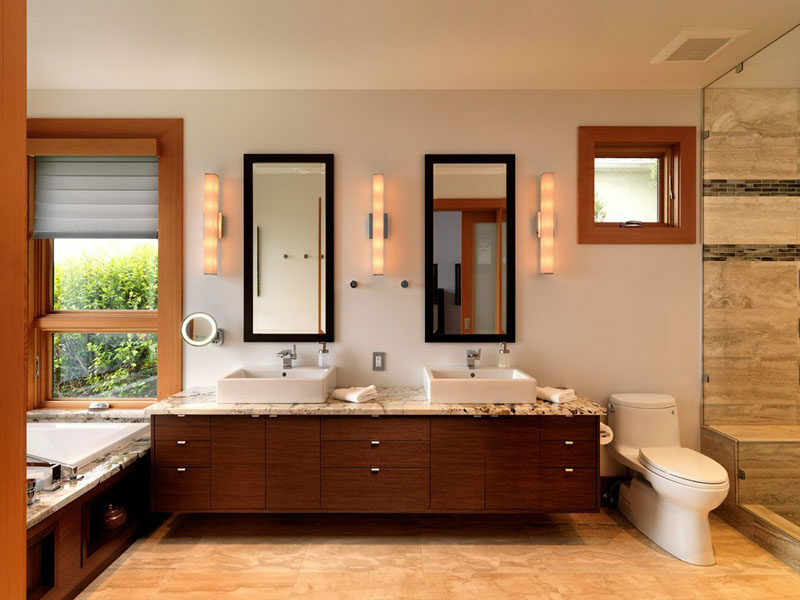 Soften up your bathroom by using two circular mirrors. 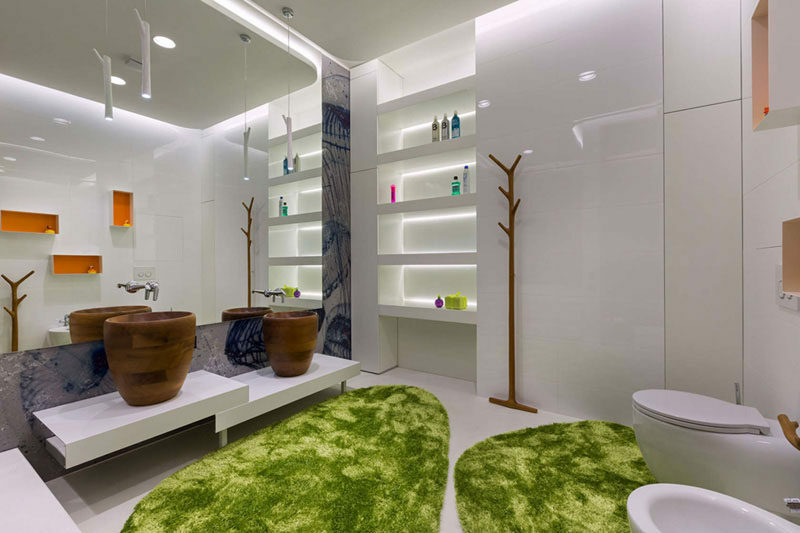 Without the hard edges of square or rectangles, circles create a more relaxed and calming vibe. 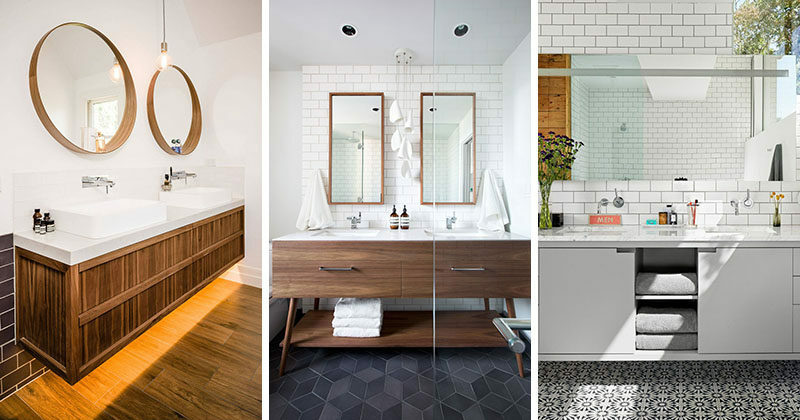 They’re a simple way to make your bathroom slightly more unique and can break up a bathroom dominated by hard, solid lines. Designed by Whiting Architects. Photography by Nils Van Brabant. See more photos of this house, here. 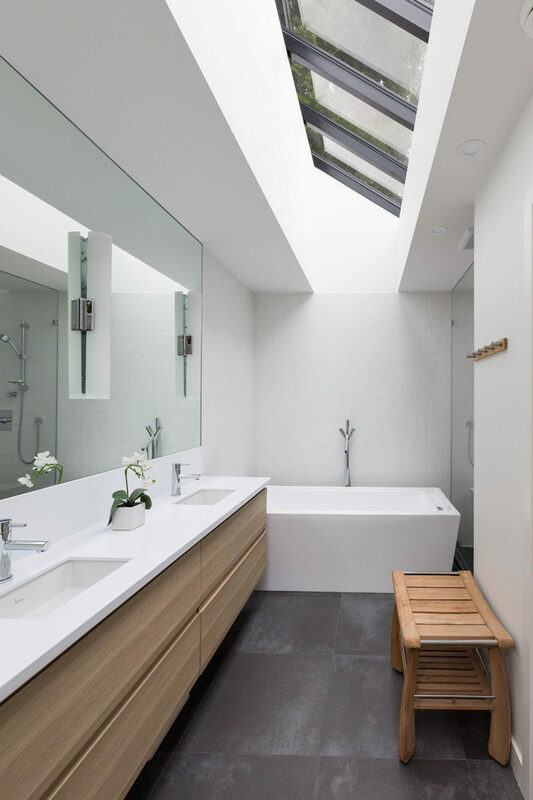 Designed by Jamison Architects. Photography by Remco Photography. See more photos of this pavilion, here. Designed by Luca Nichetto. Photography by Jonathan Leijonhufvud. 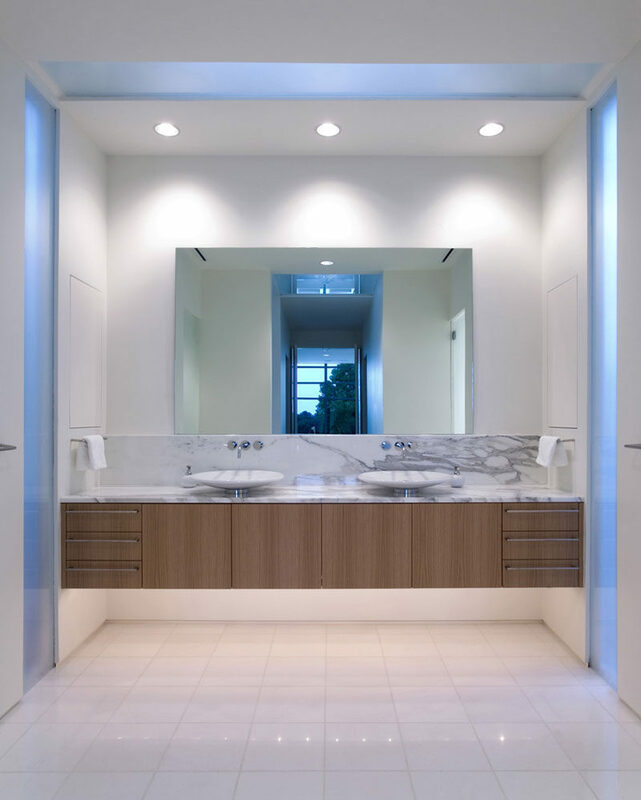 Designed by Steding Interiors & Joinery. Photography by Tim Turner Photography. 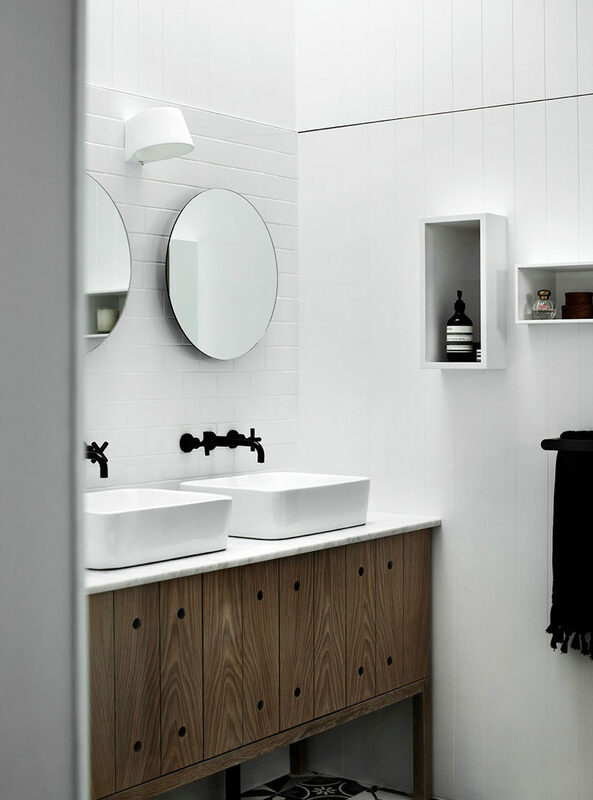 You don’t have to stick with just basic shapes when it comes to hanging your mirrors. 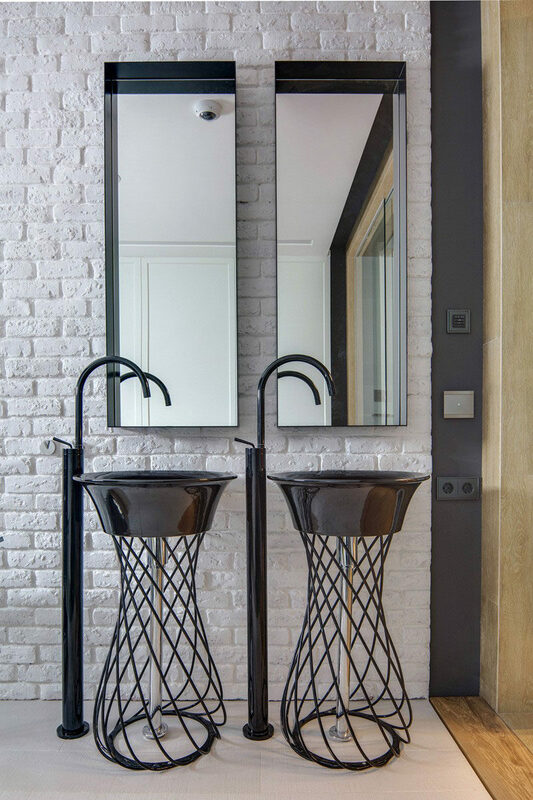 If the rest of your bathroom design is simple, a unique and artistic mirror or set of mirrors can double as both functional and creative design elements in your bathroom. 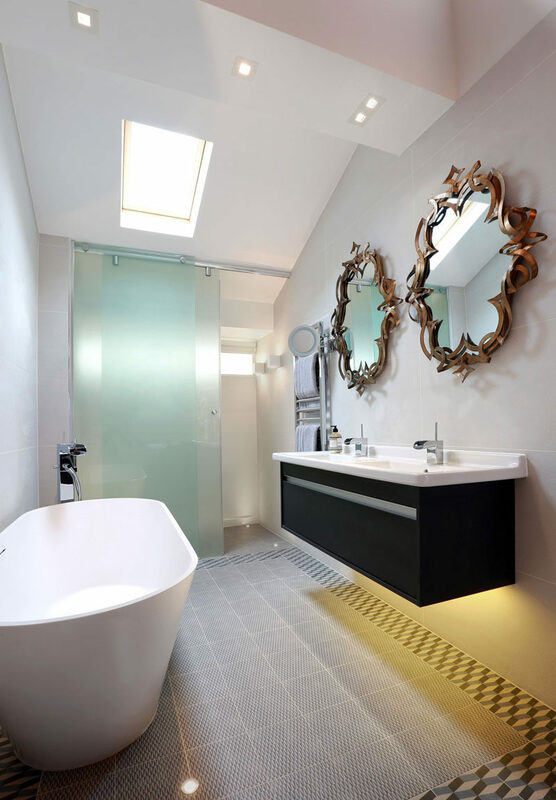 This also gives you an opportunity to create a bathroom reflective of who you are and what you like. See more photos of this house, here. Designed by LLI Design. Styling / Photography by LLI Design / Alex Maguire Photography.